A diagnosis of diabetes tends to include advice about foods you should not eat. If you also test high for cholesterol, this list of do-not-eat foods may seem to grow impossibly long. It might prove easier and more rewarding to concentrate on the foods you should eat when both diabetes and high cholesterol pose health concerns. You should include at least 44 grams of fat in your daily diet. This represents about 20 percent of your daily calories, based on a 2,000-calorie-a-day diet. 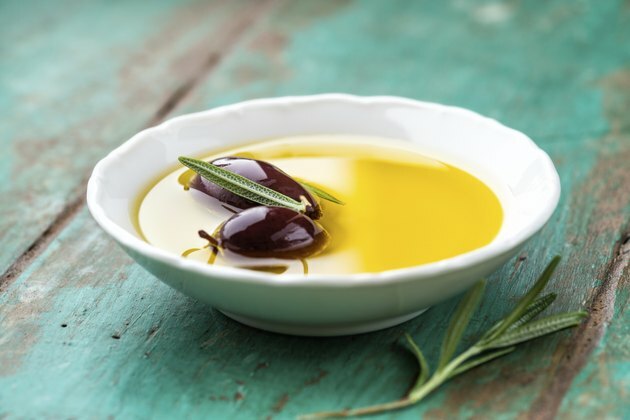 Choose healthy fats, such as those found in nuts, seeds, fish and olive oil. These oils can help lower cholesterol by removing unhealthy blood fats, such as cholesterol and triglycerides, from your system. Try eating fish, such as salmon, mackerel, lake trout and sardines, several times week. You can snack on a handful of walnuts or almonds every day. You can add flaxseed to yogurt and muffins and use olive oil in place of margarine, butter or shortening when cooking. Eat fruit. 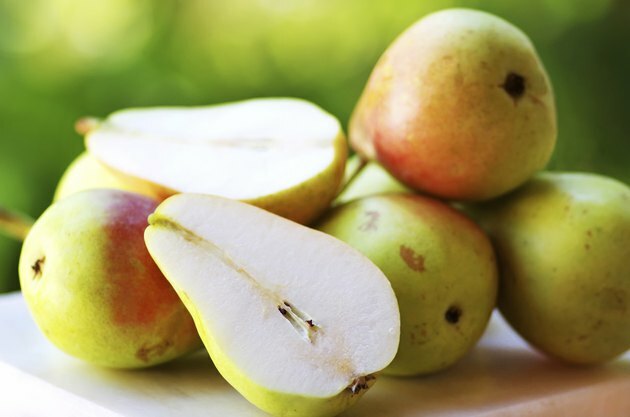 Although fruit contains sugar, the fiber in fruit helps slow the absorption of sugar in your bloodstream. The fiber in fruit, legumes, vegetables and whole grains can help you regulate your blood sugar, lower cholesterol and help you meet the general recommendations that women include 25 grams of fiber and men 38 grams of fiber in their daily diets. High-fiber fruit choices include apples and pears with skins, blueberries, blackberries, strawberries, oranges and grapefruit. 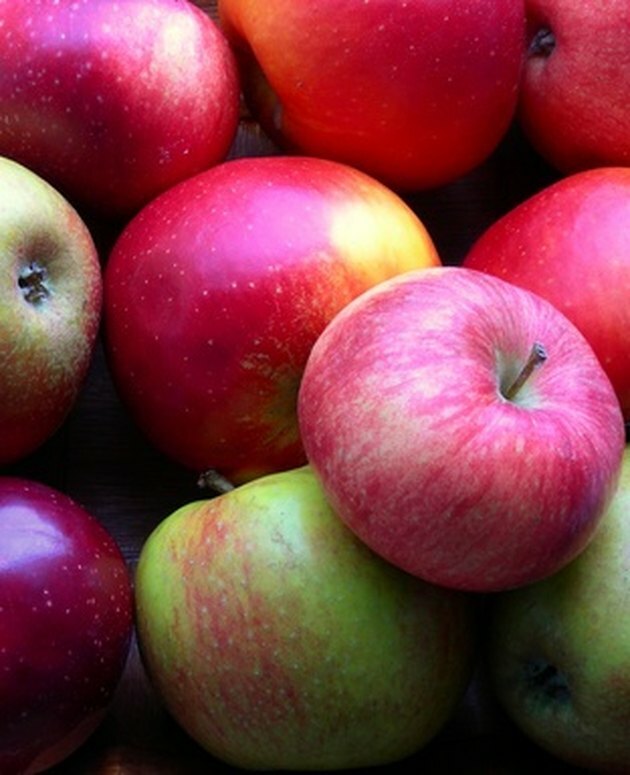 Fruit also contains antioxidants and vitamins that promote good health. Eat more legumes. Black beans, kidney beans, lima beans and other legumes are cholesterol free and low in saturated fat. A 1/2-cup serving of pinto beans contains 1 gram of total fat and no cholesterol or saturated fat. They also provide protein and fiber. If you replace some of the meat in your diet with beans, you can lower the amount of cholesterol and saturated fat in your diet. 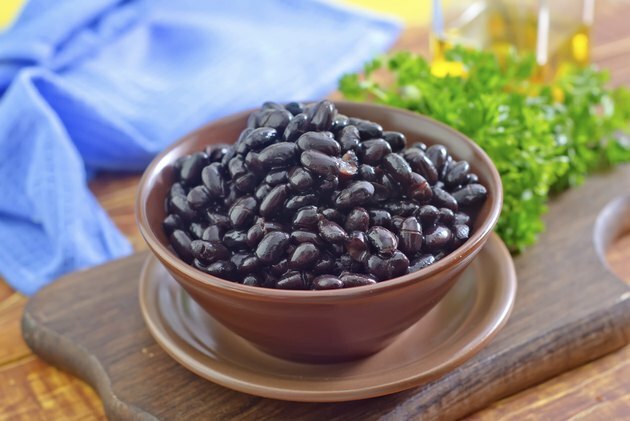 A 1-cup serving of cooked black beans, pinto beans and kidney beans has 19 grams of fiber. Eat vegetables. The fiber in vegetables also helps you fill up faster and stay full longer than when you eat low-fiber foods. This may help you lose weight and avoid the temptation of unhealthy snacks, which can help lower cholesterol. 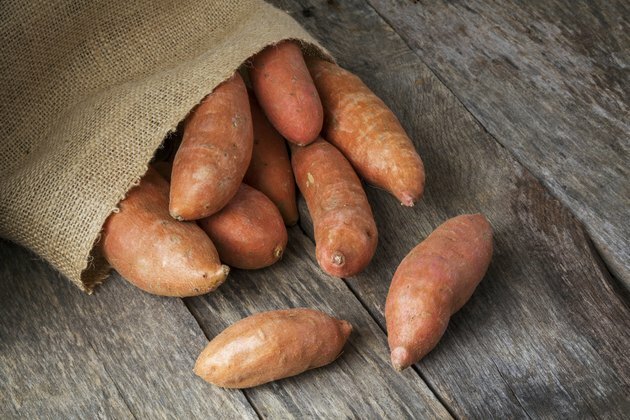 Vegetables recommended by the American Diabetes Association include sweet potatoes, spinach, kale and collards.